Nestled in the lower level of Rolling Hills Community Church, 3550 Borland Road, the Tualatin School House Pantry is something of an anomaly in that it allows patrons the freedom of picking out their own food in an almost grocery-store-type setting with a myriad of shelves, freezers and coolers. 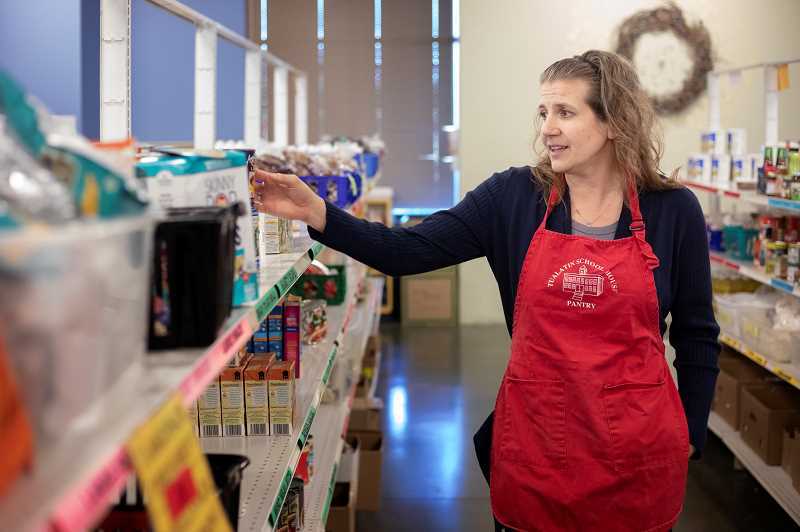 For the last 10 years, the pantry, whose namesake comes from a time a decade ago when a now-razed Tualatin school served as headquarters, has been serving those who need a hand up in the Tualatin, Durham, Lake Oswego, West Linn and Wilsonville zip codes. 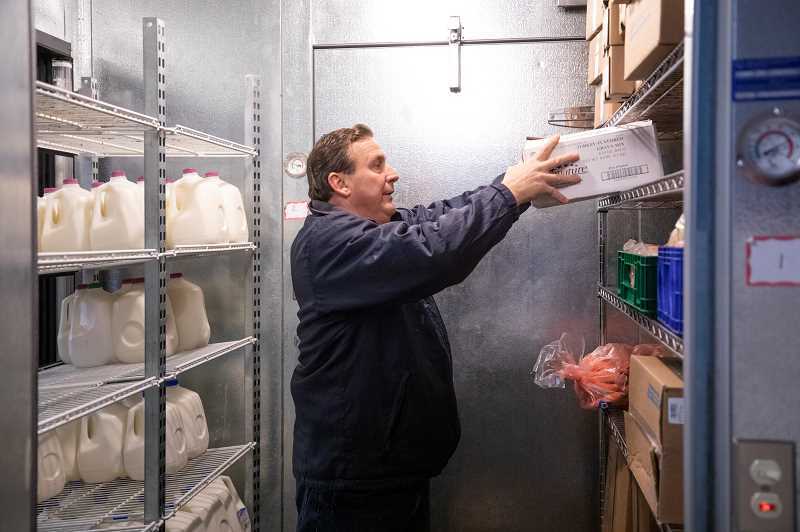 "The reason we're so big is we serve four towns," said Tracy Smith, the pantry's program coordinator who has worked for the organization for 10 years. 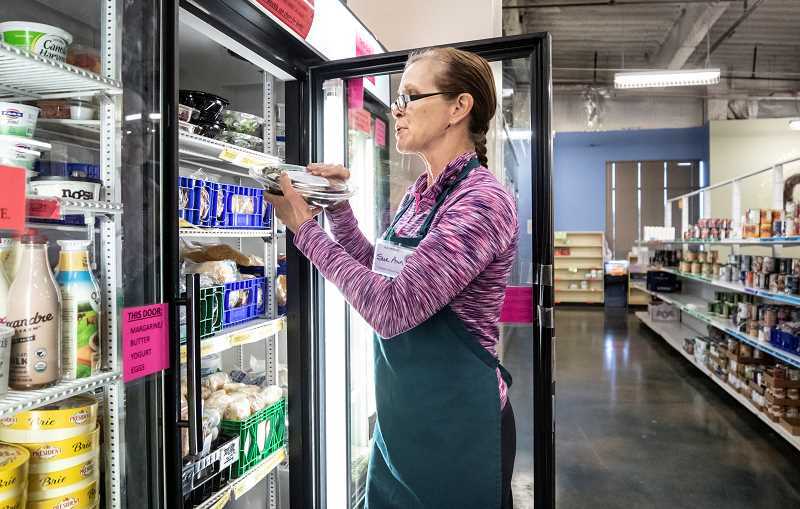 She said the pantry has extremely low overhead with Rolling Hills' only requirement being that the pantry pick up the cost of utilities in a 5,000-square-foot facility that includes a walk-in freezer and loading dock. Those two large assets mean the facility can handle large amounts of food that other local pantries can't. For example, the 16-year-old pantry recently received nine pallets of chicken nuggets originally headed for Costco. Other unlikely items often show up as well. "I've gotten two pallets of dog food," she said. "I get a lot of weird, unique items." However, what makes Smith most proud is the fact patrons can choose what they want to eat. "It's pretty cool, they get to pick it themselves," she said, noting that they try to provide lots of fresh, healthy food as well as low-sodium and low-sugar goods. In addition, patrons can pick out specific items that align with their tastes, ethnic needs or cater to food allergies. And it's not only food in cans. "We pick up from eight different Starbucks every day," she said of the large quantity of fresh, fancy sandwiches that take up a sizeable chunk of space in one refrigerated compartment. "We just love partnering with Starbucks and they have such a ridiculous high-quality control." While reasons people may need the use of a food pantry vary, it often goes back to increases in their rent. And those who need food can come in once a month to get a week's worth of food from the independent, non-religious, non-profit organization. They deliver to shut-ins as well. The Tualatin School House Pantry also is in charge of scheduling a twice-monthly visit by the Medical Teams International's mobile dental van for those in need, compliments of a grant from the Tualatin Rotary. So what are they short of right now? Canned fruit and heartier meals in a can that homeless individuals can easily access like chili or SpaghettiOs. Currently, the pantry is gearing up for Thanksgiving distributions this Friday and Saturday, where families from the previously mentioned cities can receive a Thanksgiving turkey if they provide proof of their address. "We'll be given (out) 425 Thanksgiving kits," said Smith, noting those will include a turkey, stuffing, gravy, canned cranberries and pumpkin, fresh potatoes and fresh squash. Meanwhile, Smith said she loves her job. And she likes being able to teach her children, who often come to help and visit her there, to have a "heart of giving." "It is a fun place to work, a place where I'm proud of the food we're offering," Smith said. Those wishing to make donations can visit schoolhousepantry.org. (and those donating can even specify what types of food or hygiene items they want their donations spent on). • Families served: 2,300 with only 80 those considered "regulars." • Food and hygiene items distributed: 912,000 pounds. Editor's note: Going into this holiday season, the Pamplin Media Group wanted to see if we could create a grassroots effort of support for local non-profits. We launched a campaign called Give Local with profiles of Tigard's Good Neighbor House, Beaverton's Virginia Garcia Memorial Foundation and Sherwood's Cat Adoption Team. 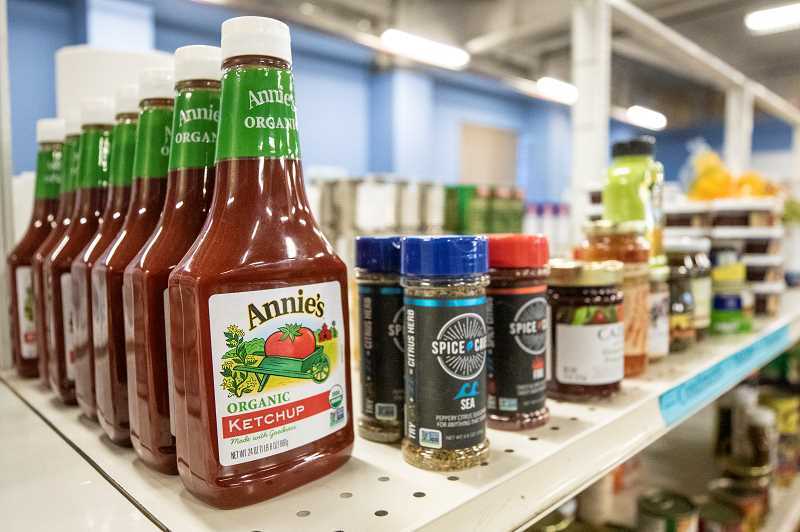 Today, we introduce you to Tualatin's School House Pantry. Give Local is Pamplin Media Group's effort to inspire readers to support local non-profit organizations that are also working to make our communities stronger. In partnership with the Association of Fundraising Professionals of Oregon and Southwest Washington and numerous local businesses, we are seeking to make more people aware of the efforts of local non-profits. We hope to create a ripple effect of more awareness, more donations and more volunteers, with the end result being stronger communities. The Pamplin Media Group's 20 newspapers and websites will be highlighting up to 60 local non-profits throughout the metro area and the efforts they make to help others. And whether you become a donor or a volunteer (or both), and no matter how much you give or which causes you support — just remember that when a community works together to support one another they can accomplish amazing things.